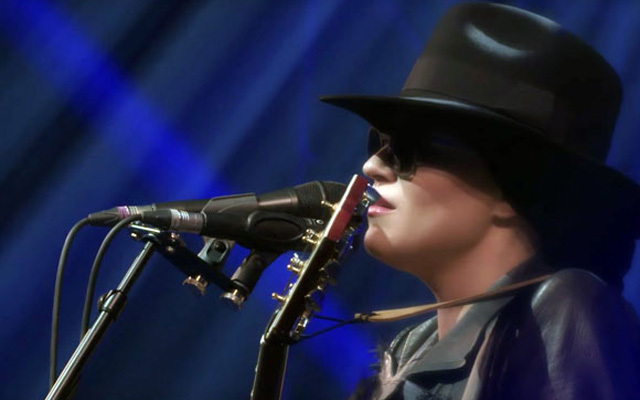 If you couldn’t make it to Paris on October 26, or 27, 2015 to witness and relish the drama and passion of Melody Gardot’s memorable concert you got lucky. The concert has been released on Blu-ray and it is worth filling another Blu-ray space on the shelf. It might have taken almost a year to release a multi-camera production of this concert that was all the rage then and is surely going to be the same with this release as well. Melody Gardot is an artist who’s thoughtful and uniquely insightful interpretations of song make her stage performances to die for. The Olympia performance is arresting. The eleven songs on this disc are just a small bouquet of her extensive repertoire. All but two of the songs have been written by her and each is a garden of delight. Gardot’s voice takes centre-stage in music of crystalline, bright purity. She traces stories of loss and love embracing intimacy and together with her musical entourage burns these at the intersection of heart and mind. In fact it has to be said that both vocal and instrumental performances are wrought from a vast palette of a myriad shades and nuanced half tones that enchant listeners. 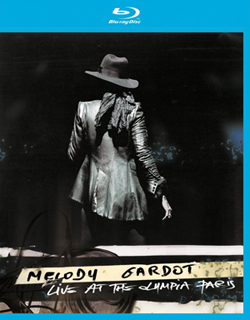 Through it all Gardot holds sway under the sultry stage lighting as voice and guitar intertwine with moving lyricism. And the sense of awe and wonder which hovers over the entire recital is particularly close focused in Gardot’s iconic composition ‘Baby I’m a Fool’ where marvellous instrumentation is the ever-shifting heartbeat behind the wonderfully supple expressive contours of Gardot’s voice , eloquently tracing those of the song’s melody. The musicians who back her up here seldom allow Gardot to become vocally side-tracked by the intensity of her moment-by-moment response; rather they recreate together the elusive movement of the music’s whispered breath and being. And as the musicians ensure clarity and evenness of pace they are exquisitely enabled by Melody Gardot’s beautifully poised sighing breath. She powerfully supports the piercing anguish of loss in her high register (in ‘Who Will Support Me’) and the dark longing and despair expressed within her chest voice (in ‘Bad News’). It’s hard to find a performance that comes as close to perfection as this one by Melody Gardot where every work is performed with astonishingly radiant beauty.